On the 40th Anniversary of Earth Day, the hard work of some amazing students in Maine has come to fruition. From a televised press conference, to successful installation of solar panels on school rooftops, the stories below chronicle a semseter of hard work and sweet rewards! Deering High School senior Faye Perry has been a tireless advocate for solutions to climate change -- both for her high school and throughout Maine. 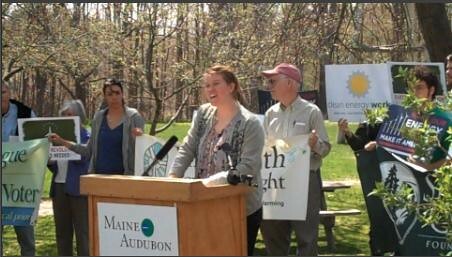 Yesterday, Faye worked an Earth Day press conference organized by RePower Maine and let everyone know that the teens at her school are taking action on climate change by raising money to build and install solar panels on the roof of their athletic complex. "We wanted to do something truly meaningful and leave a legacy for future students. For our generation, the biggest environmental issue is climate change and our need to address it by developing clean energy solutions. We thought that the Class of 2010 should lead by example and that donating solar panels to the high school would be something that future students could look to as an example that we can make a difference," she said. 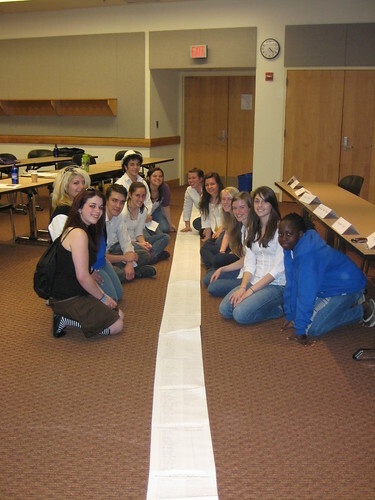 Faye and her peers in the Deering Environmental Club, along with young people around the state of Maine, also collected over 1000 youth signatures on the Declaration of Independence from Fossil Fuels. They gathered signatures in effort to show that the youth of Maine, from Portland to Wiscasset to Bangor to Augusta are concerned about climate change. After the press conference, I tagged along with these students, plus students from LearningWorks Youth Build Alternatives and some 30+ community members, as they visited Maine's federal Senators' offices to drop off letters plus the signatures on the Declaration of Independence from Fossil Fuels. These events have been a long time coming; my work with these climate rockstars began a few months ago when I helped them prepare for a Clean Energy Forum co-organized by ACE and Focus the Nation. During the Fourm the students spoke about challenges they faced raising money to build and install the solar panels at their school. Their presentation, along with the over 1000 signatures they collected on the Declaration, impressed State Representative Diane Russell. She let the students know she wanted to help them get more media attention for their work by connecting them with RePower Maine to do a press conference on Earth Day. I've been inspired and moved as I've watched these students find new ways to speak their minds and hearts on an issue so dear to them. The flow of their actions speaks to the power that students have to make a meaningful impact TODAY. What started as a school-wide action spread to a community event and culminated as these students carried their message to their state leaders. I can't wait to see what they do next.